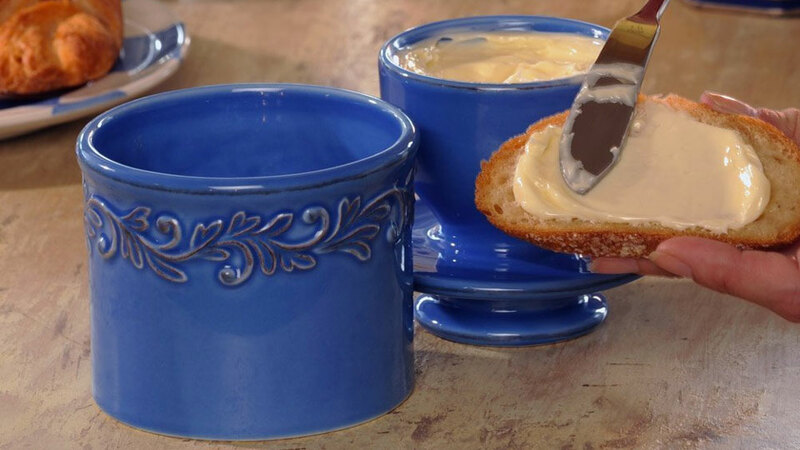 Butter Bell Crocks store your butter fresh without refrigeration, so you'll always have smooth and spreadable churned moo juice set right on your countertop. 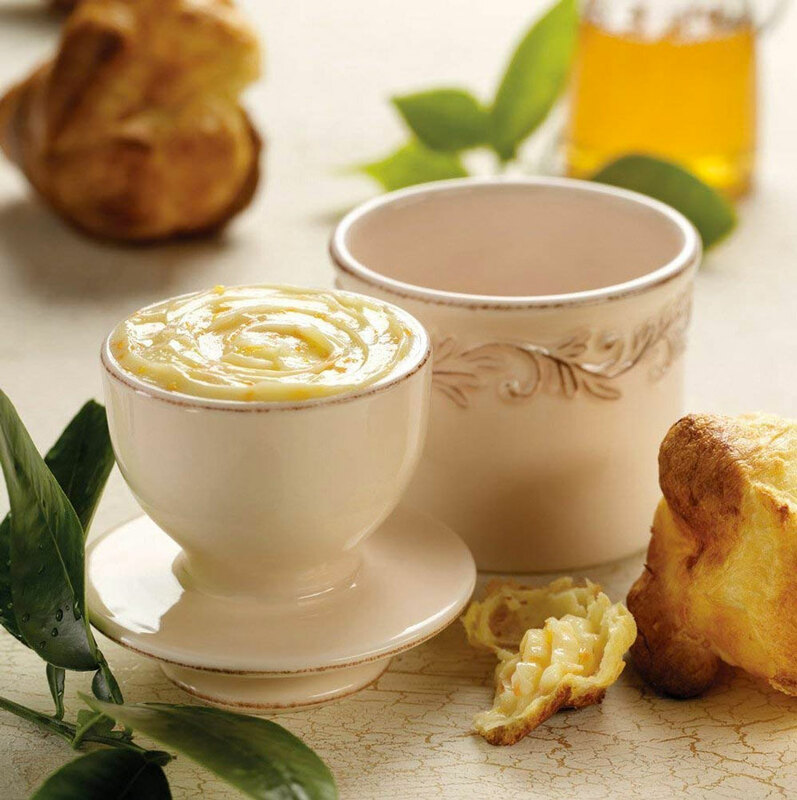 A dude, L. Tremain, designed these Original Butter Bell Crocks after the French butter crocks, which somehow use water and bone china to keep butter fresh and at the perfect spreading consistency for up to 30 days. No fridge, no spoilage, no odors, and no destroying your toast with hard hunks of butter. 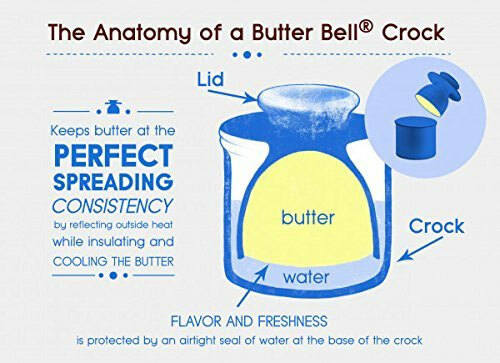 Butter Bell Crocks get their name from their bell-shaped internal container, an extension of the lid, which holds up to 1 standard stick, or 1/2 cup of butter. So you store your spreadable gold upside down, hovering over the crock, which you fill with cold water, and then refill with fresh water every 2 or 3 days. 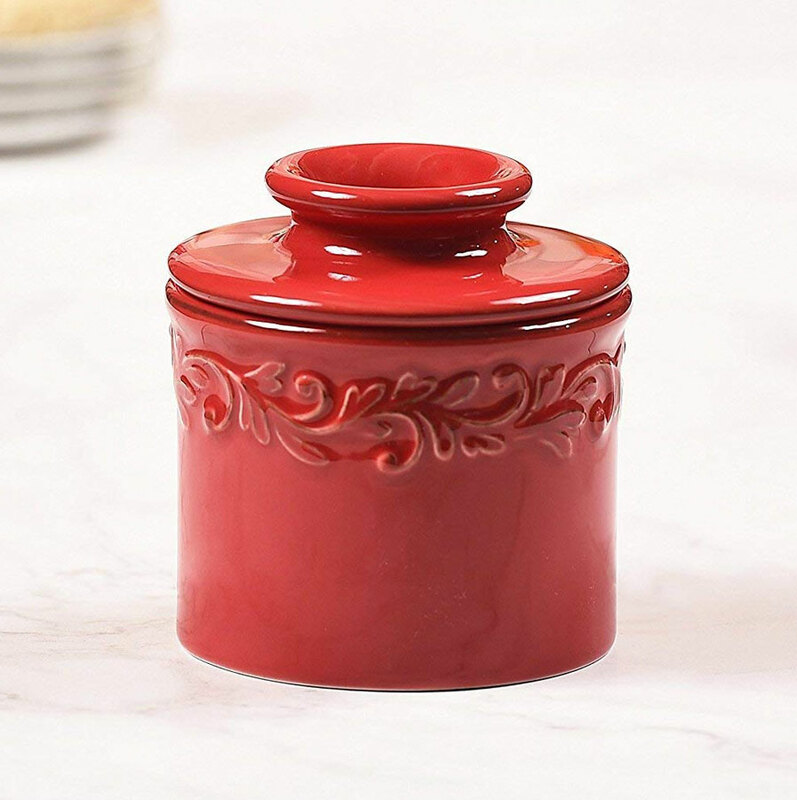 Butter Bell Crock says the process creates an airtight seal that preserve butter flavor and freshness. Presuming it works and I don't experienced Gastrointestinal warfare from storing butter on my countertop, I'd take a simple Butter Bell Crock over newfangled inventions, such as the SpreadThat! Heated Butter Knife or Butter Mill, any day. 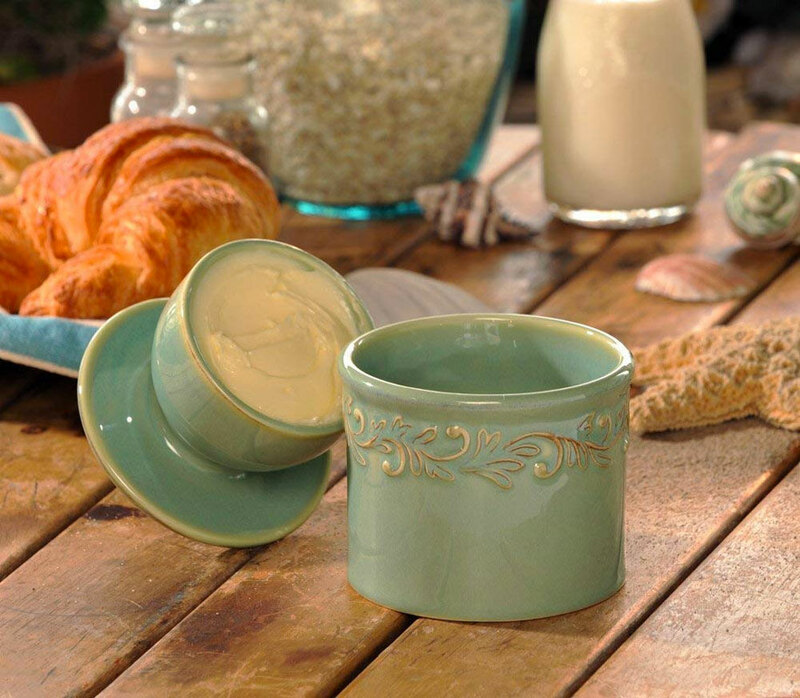 Looks purdy enough to pass as a lovely and thoughtful gift for Mom too.